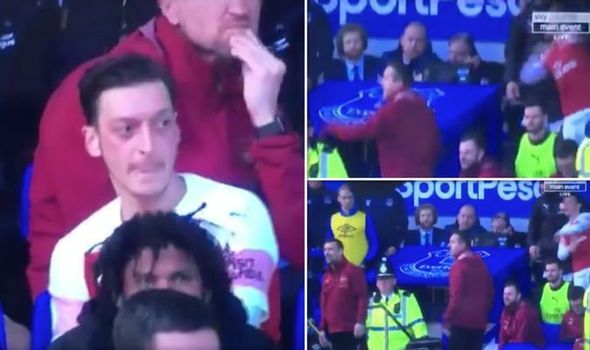 Arsenal Captain Mesut Ozil threw his jacket at Coach Unai Emery eight minutes after being substituted during the 1-0 loss against Everton. Ozil was given the captain's armband for Arsenal's trip to Goodison Park but was frustrated by the Toffees on a torrid afternoon for Unai Emery's men. The German was substituted in the 74th minute after a poor performance, and had aface like thunder upon taking his seat on the bench. Eight minutes after coming off, there was a scrimmage on the touchline when Mustafi clattered into Dominic Calvert-Lewin. 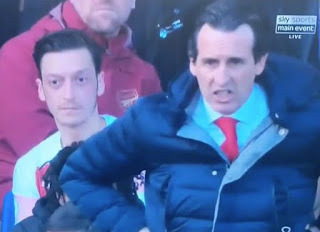 The foul caused both sets of coaching staff to come together and, amid it all, Ozil bizarrely hurled his coat towards the unfolding coming together, with Emery inthe line of fire. 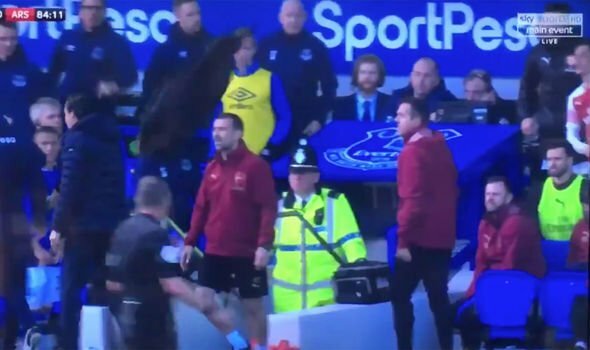 In a fit of rage, the 30-year-old stood up and simply hurled his jacket towards both managers, before sitting down.